Who else can understand this vital aspect of human life than someone who has dedicated her entire life for the noble cause of bringing the smile back to the faces of people, who have lost all hope of ever holding a child in their arms. The story of evolution of IVF is incomplete without mentioning the name of Dr. Manika Khanna who with her dedication and determination has brought a ray of hope to the thousands of couples who were struggling with emotional and social consequences of not being blessed with a child. Today due to her untiring efforts and great determination, she is a part of infertility units of various renowned hospitals and has been facilitated with numerous honors and awards for her contribution to popularize IVF treatments in India. Under the esteemed guidance of Dr. Manika Khanna, Gaudium IVF achieved a success rate of 64% for IVF Treatments Delhi in the month of March-April 2012. 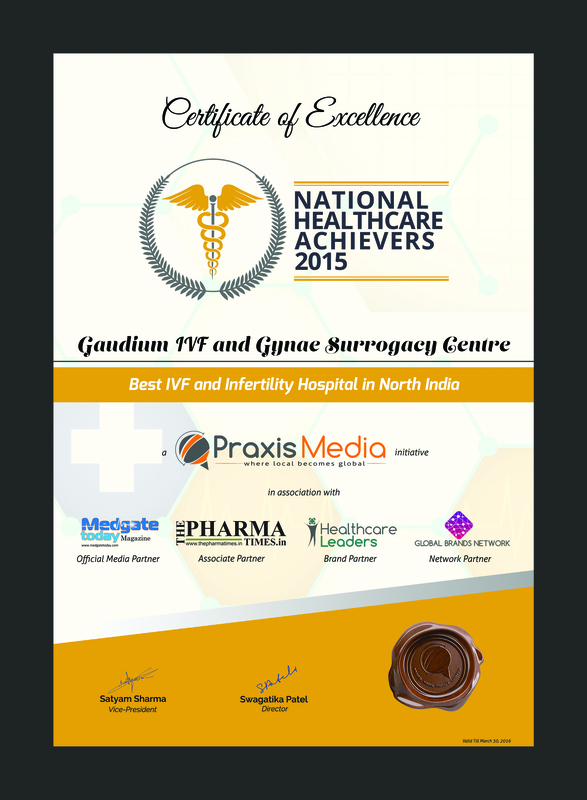 «It gives us immense pleasure to Congratulate Gaudium IVF for being the winner of the prestigious National ‪‎Healthcare Achievers, 2015 as ‪‎Best IVF and ‪Surrogacy centre in North India. 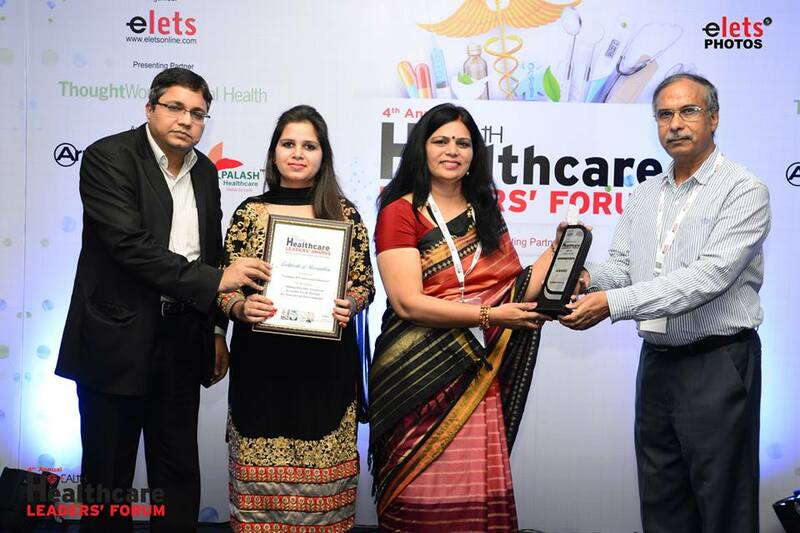 This is the 3rd ‪‎Award in a row, back to back is received by Gaudium IVF in 2015. 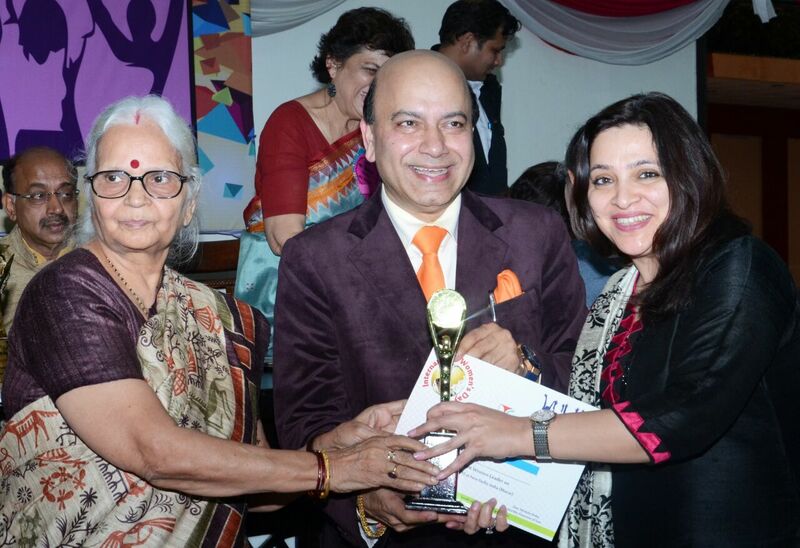 Quality work and successful deliveries in Gaudium IVF made it most promising brand of the decade. 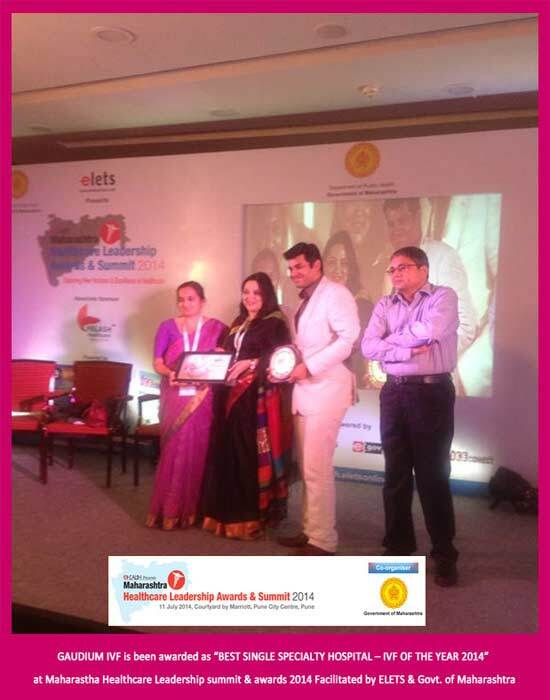 Dr. Manika Khanna was noted for her achievement in the field of infertility by President of India, Smt. PratibhaPatil in the year 2009. 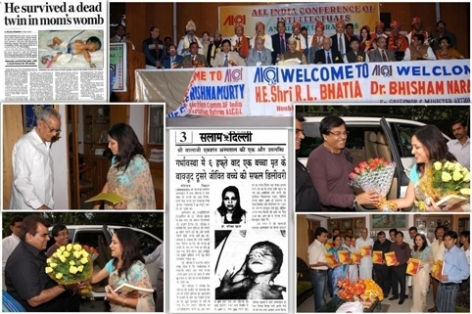 On 14th November 2010, Gaudium participated in the Child Health Congress, Delhi where Dr. Manika Khanna spoke about IVF at length. The lecture was highly appreciated by guests and prominent medical experts. Today, Gaudium IVF is a well-known and preferred name in IVF treatment in India, with over 9 centres in 4 states and many more planned in the years to come. The Gaudium center at A-41 Chander Nagar, JanakPuri, New Delhi is spread across an area of 4000 sq. ft., making it one of the biggest IVF centres in Northern India where personalized care and attention is given to each and every patient. The state-of-art infrastructure and amenities provided at Gaudium match international guidelines and standards including those laid down by ESHRE (European Society of Human Reproduction & Embryology). DrManika Khanna was felicitated by playback singer Sunidhi Chauhan for her contribution to society at the SINGER SITARON KI KHOJ organized by EKTA MISSION in the year 2010. Gaudium was the first infertility centre to take the initiative to start a psychological support counseling module called MANTRANA for the benefit of infertility couples. We believe in the service of humanity and feel that there are various milestones which are still to be achieved and our team of doctors shares the Gaudium vision of excellence. 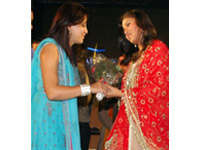 DrManika Khanna was felicitated by playback singer Sunidhi Chauhan for her contribution to society at the "SINGER SITARON KI KHOJ", organized by " EKTA MISSION " in the year 2010.